Anna learns about a new game, "Catch Americana." She walks around the memorials to U.S. Presidents and learns fun facts by playing the game. In this video, you can practice saying the new words and learn how to make recommendations using "should." This video teaches about past tense contractions, like "didn't." Anna: Hello from Washington, DC! This city has many monuments and memorials. Anna: Today I am visiting the ones built in memory of our Presidents: Washington, Jefferson, Lincoln and Roosevelt. Anna: I want to learn more about them. Dan: Sorry! I didn't see you. Anna: You were not looking. You should be more careful. Dan: I know I should be more careful. But this game is really fun. Anna: What kind of game? Dan: You have to find things that aren't really there. Anna: How can you find things that aren’t really there? Dan: They're in your phone. See? Anna: I see. It’s like a scavenger hunt. Anna: I don’t have time for games. I want to learn about U.S. presidents. Dan: Then you should play this game! When you find an American symbol, you win points and a Fun Fact about a U.S. President. Anna: I have time for this game! Dan: Here are the symbols that I caught: the Statue of Liberty for 20 points, Uncle Sam for 40 points and the American flag for 60 points. Anna: What symbol are you looking for now? Dan: I am looking for the bald eagle. That is 100 points! It should be near the Washington Monument. Anna: This game is awesome. Anna: Got it. Catch Americana. Dan: Good luck to you too! Anna: This is the Jefferson Memorial. I know that Thomas Jefferson signed the Declaration of Independence! Now, where is that symbol? Anna: Here it is! My first one. It’s an American flag! I won 60 points! Anna: An American flag works well for Thomas Jefferson*. I see lots of American flags on Independence Day! Anna: Where is my Jefferson Fun Fact? 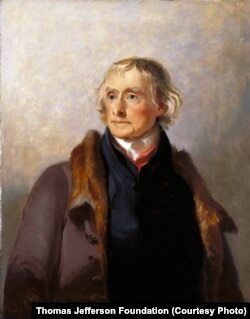 Voice: In his lifetime, Thomas Jefferson wrote about 19,000 letters! Anna: I did not know that. Where is the next symbol? *See an explanation of this sentence in the Learning Strategy section. In this lesson, Anna learns about a new video game. What games do you like to play? Write to us to tell us about the video games or other games you like. Send us an email or write in the Comments section. Use the Activity Sheet to play a game that helps you practice talking about games, sports, and leisure activities. The learning strategy for this lesson is Make Associations. When we think of connections between things we are making associations. "I know that Thomas Jefferson signed the Declaration of Independence! Now, where is that symbol?" "Here it is! My first one. It’s an American flag! I won 60 points! An American flag works well for Thomas Jefferson. I see lots of American flags on Independence Day!" Anna is making associations between the flags and President Thomas Jefferson. What associations do you make when learning new things in English? Is there something in this lesson that you can associate with the new words? Maybe the association will help you remember them. Write to us in the Comments section or send us an email. Teachers, see the Lesson Plan for more details on teaching this strategy. ought to - modal verb. used to say or suggest that something is the proper, reasonable, or best thing to do. It has the same meaning as should and is used in the same ways, but it is less common and somewhat more formal. Statue of Liberty - n. A large sculpture given to the United States from the people of France. It is a symbol of freedom and democracy. Uncle Sam - n. A common symbol of the government of the United States. Each Let's Learn English lesson has an Activity Sheet for extra practice on your own or in the classroom. 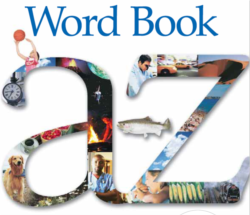 In this lesson, you can use it to practice talking about games, sports, and leisure activities. Now it's your turn. What do you think the game in this lesson? Do you play a game like this? Send us an email or write to us in the Comments section below or on our Facebook page to let us know what you think of this lesson.